Sunrise Dental Blog Are Dental Implants a Good Choice for You? 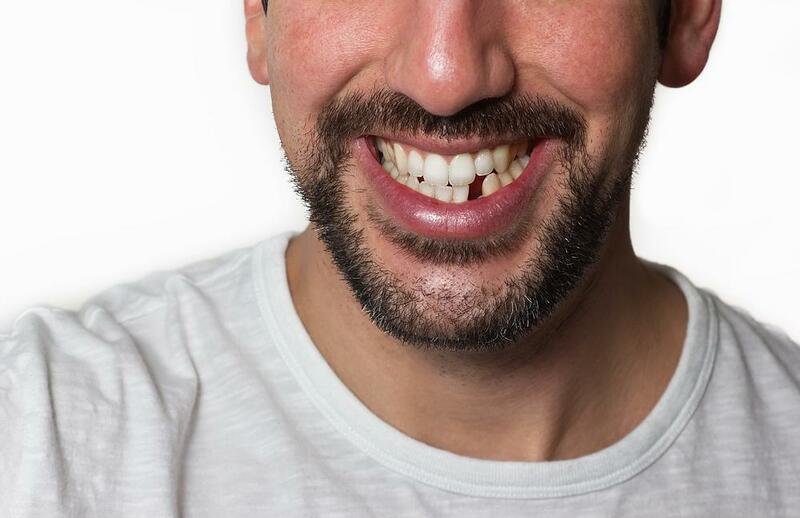 Some 120 million American adults are missing at least one tooth, and about 36 million have no teeth at all, according to data from the American College of Prosthodontists. Even a single missing tooth can interfere with normal function and significantly increase the risk for oral disease and future tooth loss. That’s why it’s as important for your oral health as your appearance to fill the gap left by lost teeth. Fortunately, there’s never been a better replacement option than today’s dental implants. At Sunrise Dental, we have extensive experience in providing dental implants. Our dentists offer the following overview to help you determine whether dental implants may be right for you. Unlike a denture or a bridge that sits on top of your gums, dental implants are secured into your jaw bone. 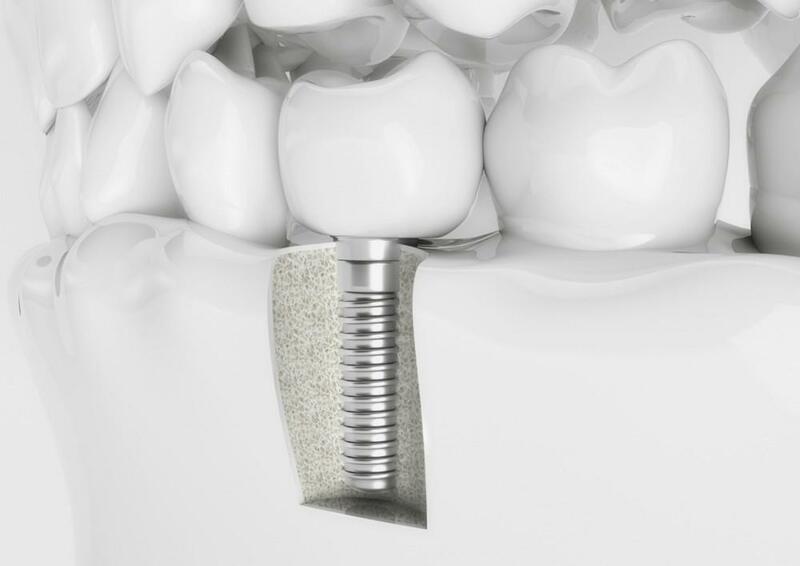 The implant itself uses a strong titanium post to attach the crown (or artificial tooth) to your bone while a third piece called an abutment joins the post and the crown to keep the entire implant secure. Titanium is the same metal that’s used in other implants, like hip and knee implants. Once the implant is in place, it’s designed to “blend in” with your other teeth, and it works in the same way to bite and chew. 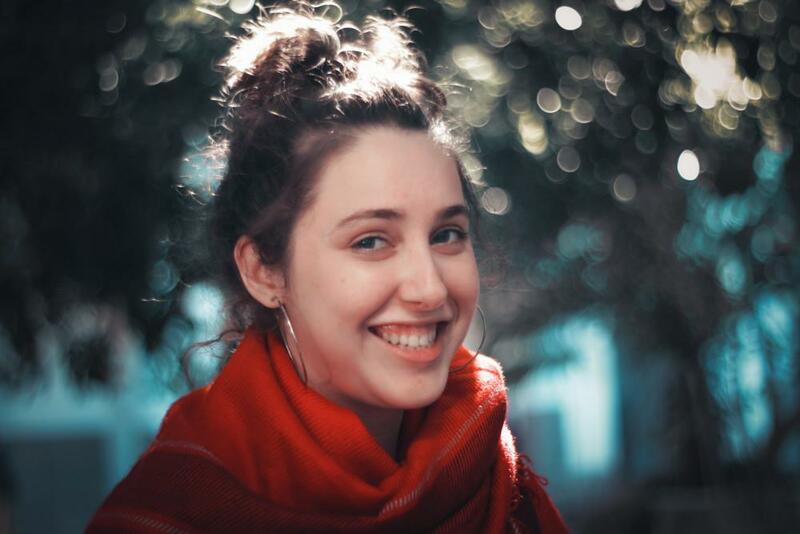 Since it’s attached to your bone, you don’t have to worry about slipping that can occur with many dentures, and you also don’t have to worry about seeds or other tiny food particles getting lodged underneath a denture or bridge. There’s no adhesive, and implants are cleaned and cared for just like your natural teeth. But the benefits don’t end there. Because the post is embedded in your jaw bone, it helps stimulate the natural regeneration of bone tissue. When a tooth root is missing, bone tissue stops growing and replenishing itself in that area, allowing the bone to become very thin. In turn, that thinning can wind up weakening adjacent tooth roots, and over time, those teeth are at much greater risk of falling out. That’s how a single missing tooth can wind up creating a “domino effect” that results in the loss of many more teeth over time. Since implants continue to support bone regrowth and replenishment, they help avoid bone thinning so neighboring teeth remain secure. 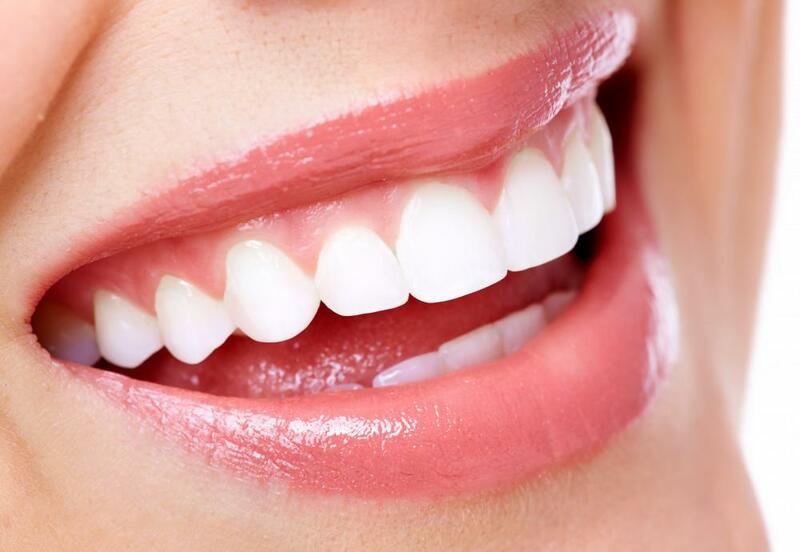 Dental implants are a great option for most people missing one or more teeth. For people missing all their teeth, implants can be used to secure an entire upper or lower denture. However, implants need bone for secure attachment, if your jaw bone is already thin in the implant area, you might not have enough tissue to provide adequate support. In such cases, the bone must be “built up” with bone grafts taken from another area of your mouth (usually the palate or roof of your mouth). Often, bone grafts can be placed at the same time as your implant post. Your jaw bone will be measured and evaluated prior to an implant procedure to determine if an implant is needed. The dental implant procedure typically takes three visits. At the first, the post is placed in your jaw bone (along with a bone graft if one is being used). Once the post has fused with the surrounding bone, you are ready for the second step. At the second visit, an abutment is attached to the post and an impression is made that serves as the "model" for your crown. At your third visit, the crown is attached and gently buffed to perfection. If you're missing one or more teeth, dental implants may well be your best solution. To learn more about dental implants book a consultation at Sunrise Dental, book an appointment online today. Too old for a more beautiful smile? Nonsense. 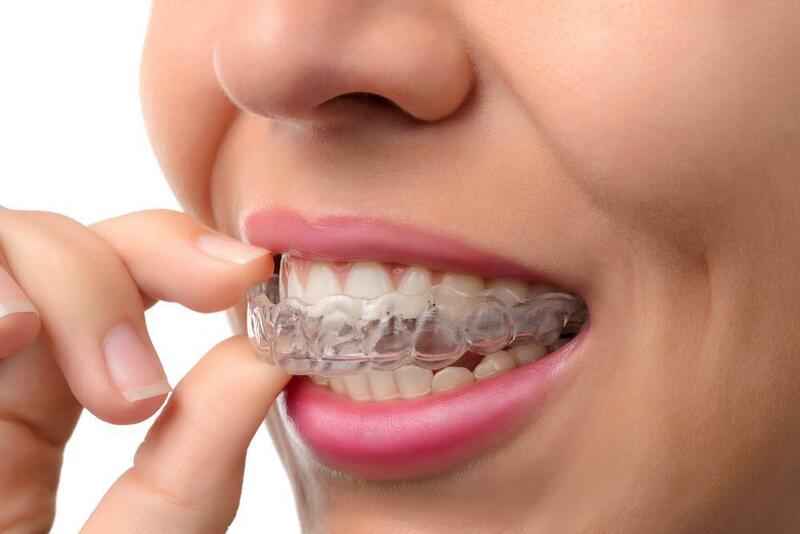 With clear aligners, you can get the treatment you need to straighten crooked teeth at any age. Plus, the clear design means you'll feel more confident during treatment too. Restorative dentistry helps prevent oral health problems from becoming worse, and it can also keep your smile looking its best. Learn more about restorative dentistry procedures and how they can help you enjoy a lifetime of healthy teeth. The road to straight, perfectly aligned teeth used to be paved with metal — until now. Thanks to clear aligners, you can smile your way to straighter teeth. Bad breath can cause big problems at the holidays. Fortunately, there are many ways that you can fight bad breath. Here's what you need to know about treating your problem and keeping your breath smelling fresh. Dental implants are a common procedure but we often hear, "Is getting a dental implant painful?" The procedure itself is pain-free, but there can be discomfort during the healing process. Get all the facts about this popular procedure here. Failing to replace a tooth can be harmful in more ways than one. From additional tooth decay to changes in your facial structure, learn more about the chances you're taking and how you can fix the problem.